Support The Underground. Spread The Sickness. To Talk and Share the Awesomeness of Stephen Biro's Series of Sick and Fucked up Films. Post Your movie watching lists here! Talk, Share and Celebrate the Greatest Month and Holiday EVER! Extreme Horror Cinema's Best of.. 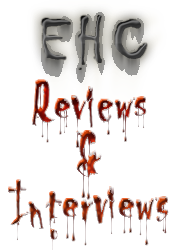 Ask Us Anything About EHC.. Tell Us What You Think.. Brutal Honesty Welcomed..